Opossums are considered a nuisance because of the damage they cause to gardens and the mess they make of garbage cans, pet food dishes, and compost piles. They are also a host for fleas and ticks. While these marsupials like to live in the dens of hollow trees and the vacated burrows of animals, they commonly find shelter under your deck, shed, or house, and in your attic. 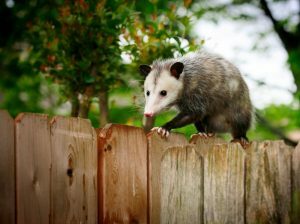 If you discover opossums living on your property or inside your home, call the wildlife experts of Critter Control® of Orlando right away. We use the safest, most-effective trapping methods to ensure your opossum problems are taken care of quickly and correctly. To determine the severity of the infestation, our technician will begin with a free home inspection to see how the animals are entering, what damage they’ve caused, and if babies are present. From there, we humanely trap and remove the opossums and seal all holes and entry points to prevent future invasions. When it comes to wildlife, prevention is always the best thing. But, if you already have nuisance animals taking over your yard or property, you’ll want to call the experienced technicians of Critter Control® of Orlando. Opossums who invade areas of your home such as in your attic, create considerable damage by chewing through wood and drywall, tearing up insulation, and gnawing on electrical wiring. It is also common for the animal to die inside your home, causing an unbearable odor and generating a biohazard that’s dangerous to you and your family. If you’ve seen signs of opossum activity near or inside your home, call the opossum trapping experts at Critter Control® of Orlando today at 407-295-7194.